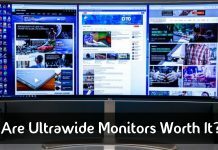 Does Having Two Monitors Affect the FPS for Gaming Performance? 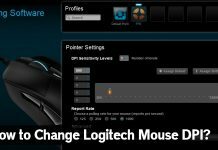 Home Guide Does Having Two Monitors Affect the FPS for Gaming Performance? Having two monitors is delightful. It amplifies the gaming experience manifold and enables you to enjoy your game even more. However, the long asked question is whether two monitors will affect the gaming performance? The short answer is YES. Do not panic, though! 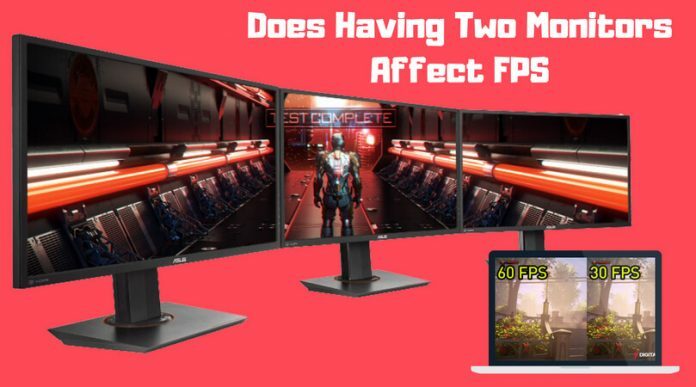 If you think about it, it is almost obvious that the multiple monitors will affect the FPS for gaming performance because the graphics card has to work twice as hard as it normally would be to deliver the pixels to the default monitor and the second monitor. However, this effect might not even be noticeable. In fact, if you have non-video content on one of the monitors, there will absolutely be no effect at all. The difference comes when you run video content on one or both of your monitors. What happens then is the load increases, and the graphics card may not be able to take it. You may not even notice the change though. It is just about as bad as playing a video in the background as you play something on a single monitor. The maximum you will notice is a stutter or a slight lag during the game. Other effects could be noise and higher electricity bills based on the load on the power and your system. Is that all? Not really. What you might want to be careful about is the type of game you choose to play on dual monitors. Not all of them will give you the experience you are looking for, and that’s mainly because of the bezels you will see where the two screens connected. If you are okay with that, you can go ahead. 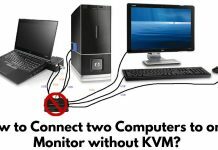 Otherwise, the advice would remain that you choose a single monitor to gain the best experience. Bottom-line, stop worrying about the FPS or gaming performance and go for it. It is all fine!